I’ve never made chicken pot pie before. 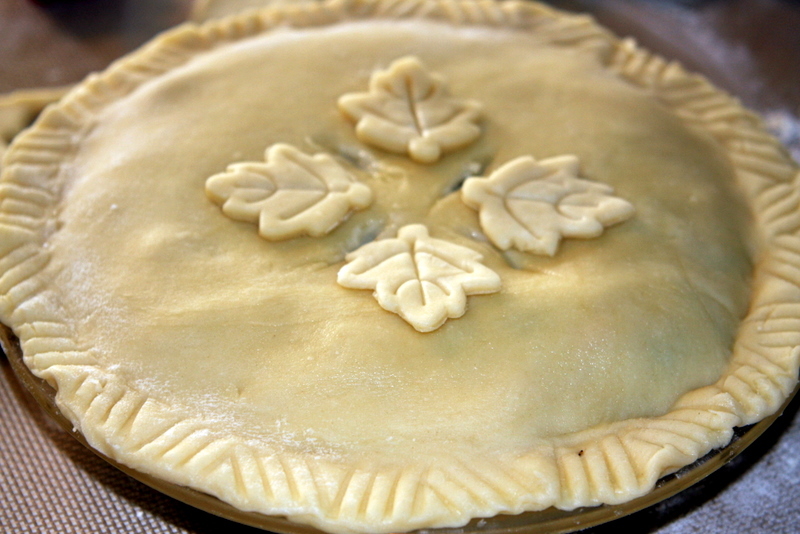 It always intimidated me with its perfectly flakey crust, creamy filling, and loads of chopping. Sounds kind of scary, right? Right. Well, Comfortably Domestic gave the world an easy solution to the perfect crust awhile back. My excuses started to dwindle. Jonathan requested chicken pot pie many times and resorted to calling me “Maddie-pot-pie” on a regular basis. 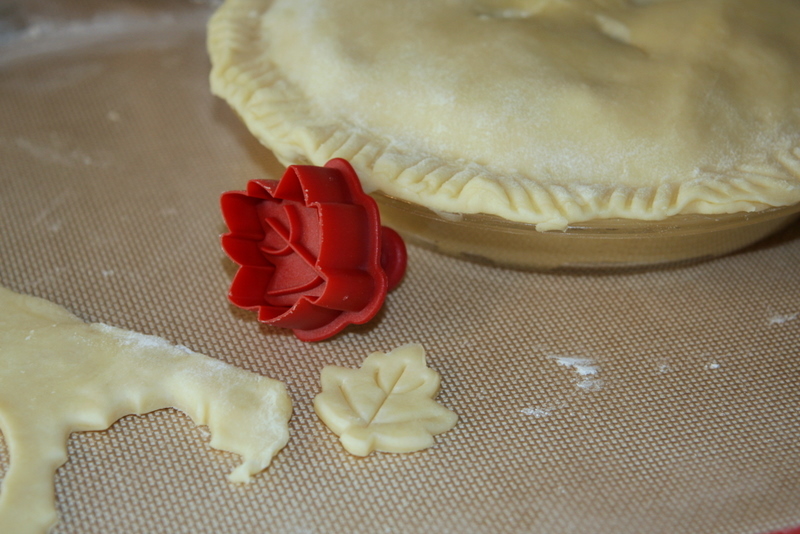 Then, Inside NanaBread’s Head sent me a SPECTACULAR care package with the tools I would need to complete the pot pie. Isn't this little leaf cut out adorable! Thanks again, NanaBread! My stance against homemade pot pie was defunct. Comfortably Domestic also gave us the perfect chicken pot pie recipe, but I only had a few of those ingredients on hand. 😦 I ended up using the same recipe, except for *gasp* frozen vegetables. I think I’m officially hooked on homemade pies. There’s no turning back now. Although, I’m not a huge fan of the cleanup. I feel bad for the poor sucker who has to clean that up. Oh wait, that poor sucker is me. This entry was posted in Pie by Mads. Bookmark the permalink. Yay!! Mads made a chicken pot pie! And it’s pretty! Great job, girlfriend. That is one pretty pot pie. Jonathan is never going to let you wimp out again. Thanks for the photo of you in your apron. Very cute! Made my day. And the leaf cutter worked really well! I’m holding up my score card poster with a big 10 on it. Way to rock Kirsten’s pot pie recipe. 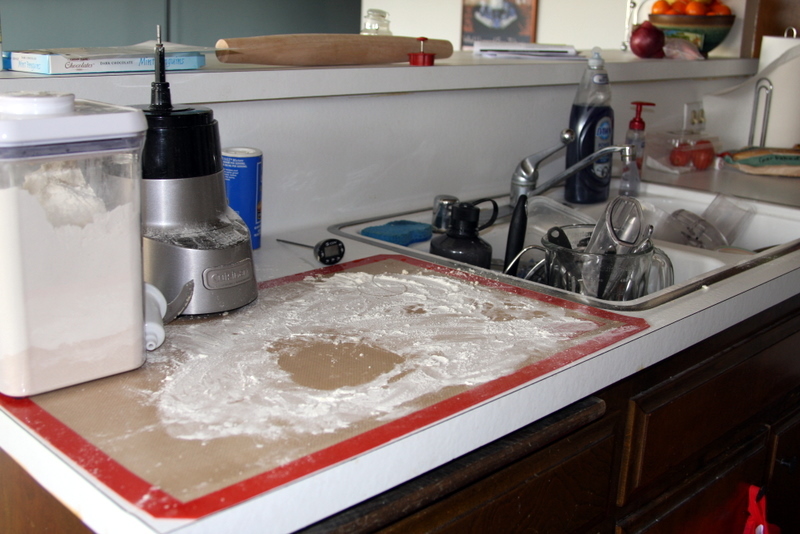 PS – pie clean up is my least favorite part, too, but a good bench scraper makes short work of it. If you don’t have one, you need to put it on your shopping list. Pronto! Here’s the one I have. Love it, and it only costs about $8. Add this to your ‘no excuses’ list. Oooo That looks fancy and perfect for my pie needs. I’ve already added it to the shopping cart! That poor sucker was me. But well worth the price for the pie. Mads!! You look AMAZING! I guess I haven’t really seen you in forever 😦 but whatever you’re doing keep it up lady! Thanks! I’ve just been eating less and moving more…the goal of life, I guess. 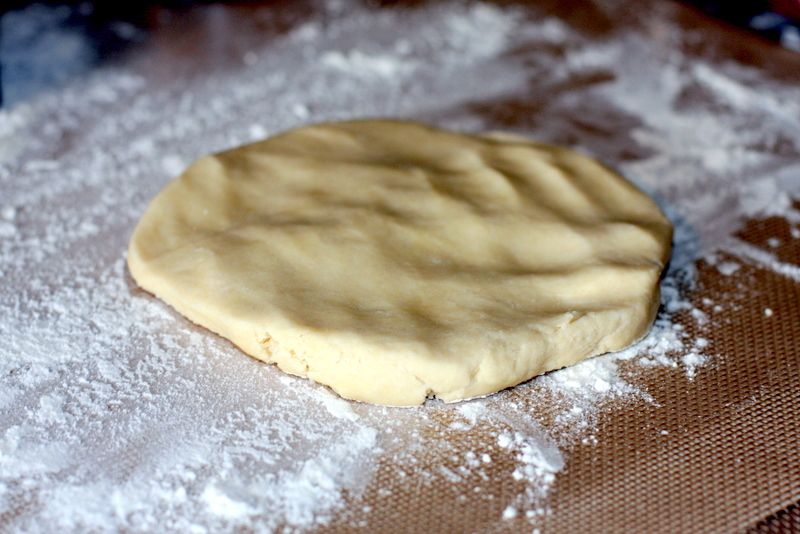 I feel like now I need to purchase an artsy cutter to lift up my otherwise mundane endeavors into the world of pastry. You did a GREAT job. Fantastic Pot Pie effort! And it was so pretty. Way to go! LOVE your new NanaBread Original Apron! Fun & spunky, just like you. Your pot pie recipe was the bomb! Jonathan ate 1/2 of the pie in one day. That was some serious love. Your pot pie looks amazing! I usually slap on a premade crust or frozen phyllo dough, so this puts me to shame! Oh, I’m a huge fan of the premade crust too, but Kirsten’s recipe is so easy I just had to do it. Pingback: Chicks in the Coop Pie | What's On the Stove?